Joanna is an actor and Tv host living and working in Toronto. Her acting exploits can be found at JoannaHaughton.com. She owns and operates the fashion and lifestyle blog ModaMama. 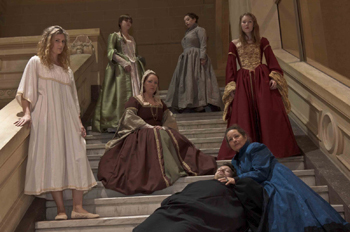 Being what some might call slightly obsessed with King Henry VIII and his wives, I was eager to see Ladies-In-Waiting at this year’s Toronto Fringe Festival playing at Theatre Passe Muraille. The play centers around the Henry’s five dead wives as they congregate in the room waiting for him to die. Imagine putting five women, many of whom don’t like one another very much, who have shared the same man in a room and you get a sense of what happens in Ladies-In-Waiting. 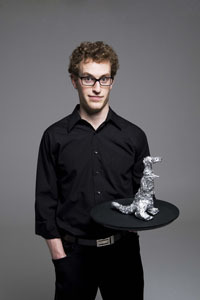 Tinfoil Dinosaur, a one-man show performed by Sam S Mullins as part of the Toronto Fringe Festival at the Solo Room, is both funny and confusing. 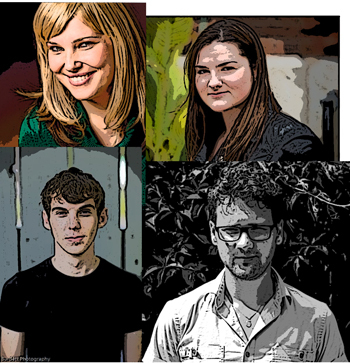 It’s a show about a young, struggling actor’s journey to the Toronto Fringe Festival. And even though I laughed, I was unsure of what exactly I was watching. How do you kill? That is the central question of Release the Stars: The Ballad of Randy and Evi Quaid, playing at the Toronto Fringe Festival this year as a site specific show at the SIX20SEVEN Gallery. It’s the question I walked away thinking about. In the show, Daniel Krolik and Amanda Barker use the real life story of Randy and Evi Quaid to illustrate human wonder and human folly in all its glory. They take you on the wild ride that starts with Evi’s childhood, continues to her meeting Randy, and ends with their refugee status in Canada and eventual disappearance from public life. Witty and unique word play coupled with psychiatric humor? Yes, please. I love playing with the English language, whether it’s word games, Shakespeare, or witty Mamet-esque banter, probably more than the average person. So I was, understandably, positively inclined towards A Madhouse Dramedy playing at St. Vladimir’s Theatre as part of the Toronto 2012 Fringe Festival from the get go.